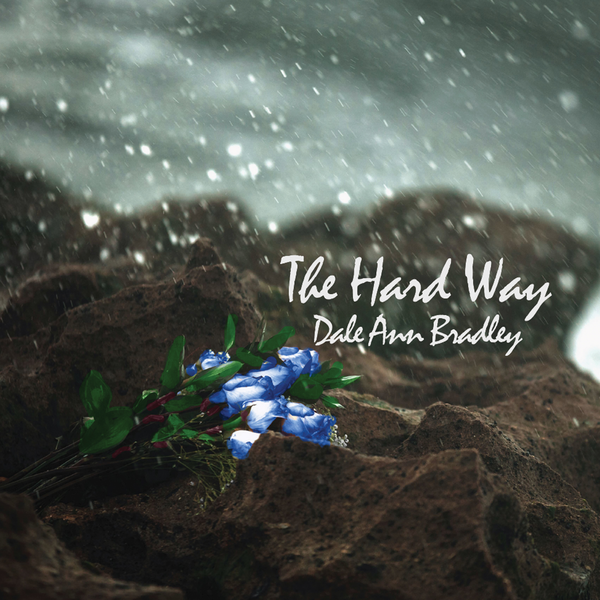 Nashville, Tenn. – As the momentum continues to grow, Bluegrass mainstay Dale Ann Bradley is happy to announce her next full-length release The Hard Way, available March 22. The collection features 10 new recordings, all showcasing the singer/songwriter’s heartfelt voice. The Hard Way is available for pre-order now, where fans will be able to instantly download the lead single, “Hard Way Every Time,” which was originally written and recorded by Jim Croce. Included on the highly-anticipated project is a cover of “Wheel in the Sky,” which sees Dale Ann taking a unique approach to the Classic Rock song made famous by Journey. “I think Steve Perry is one of the best vocalists to ever live,” says Bradley. “The whole band was at that point, and all of their songs really got your attention. It was incredible music you couldn’t turn away from. They’re just next level.” The Hard Way also includes original songs like “Pretty, Dark Hearted Emma Brown” which was co-written by Bradley with her brother, marking his first ever penned song, which has an old Appalachian theme. Another standout moment occurs on the uptempo “Boat On The Ocean,” which was written by award-winning songwriter Aaron Bibelhauser and chart-topper Milan Miller. The project concludes with Bradley’s take on the 1970 Grateful Dead track “Ripple.” The singer discovered the band in high school, with their ‘off the cuff’ approach catching the chart-topper’s attention. For the album, Bradley partnered with microphone manufacturer Warm Audio, who provided a lineup of their most popular gear to utilize during the recording process at Bonfire Recording Studio. The hardware of choice was the Warm Audio WA-47 Tube Microphone which was used on all vocals. To celebrate the album launch, Bradley will be playing a very special CD Release Party Event on March 1 in Mount Vernon, Ky. at The Kentucky Music Hall of Fame, where she was recently inducted as a member in 2018. Throughout the show, fans can expect to hear songs from The Hard Way performed live for the very first time. Following this performance, the critically-acclaimed singer will travel to Nashville for a show at the City Winery on March 2, and conclude the weekend in Bristol, Va. on March 3. On the project’s official release date (March 22), the Dale Ann Bradley Band will return to Shepherdsville Music Barn in Shepherdsville, Ky. To purchase tickets and learn more, visit www.daleann.com. It’s already been a successful last couple of months, with Bradley being a current finalist at the upcoming Grammy Awards in the category for “Best Bluegrass Album.” The recognition comes from the all-female supergroup Sister Sadie’s latest release, Sister Sadie II. The songstress is no stranger to this category, previously being nominated for her 2015 release, Pocket Full of Keys. All five Sister Sadie members will roll into Los Angeles on February 10, where the winners will be revealed.